Minimum needed for a tour: two people. Maximum per tour: five people. 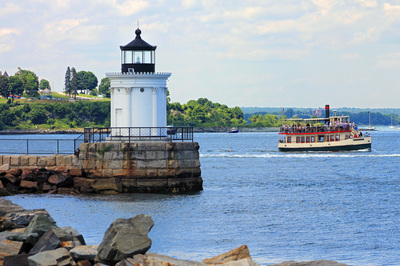 This minivan tour, with pickup and drop off in Portsmouth, New Hampshire, includes seven lighthouse locations along with more distant views of several others. Participants get to climb one of the lighthouses and ample time is allowed for photography at all stops. The first stop is Portland Breakwater Light in South Portland. This unique 1875 lighthouse, known locally as "Bug Light," is modeled after the Greek Choragic Monument of Lysicrates, built in the fourth century B.C. 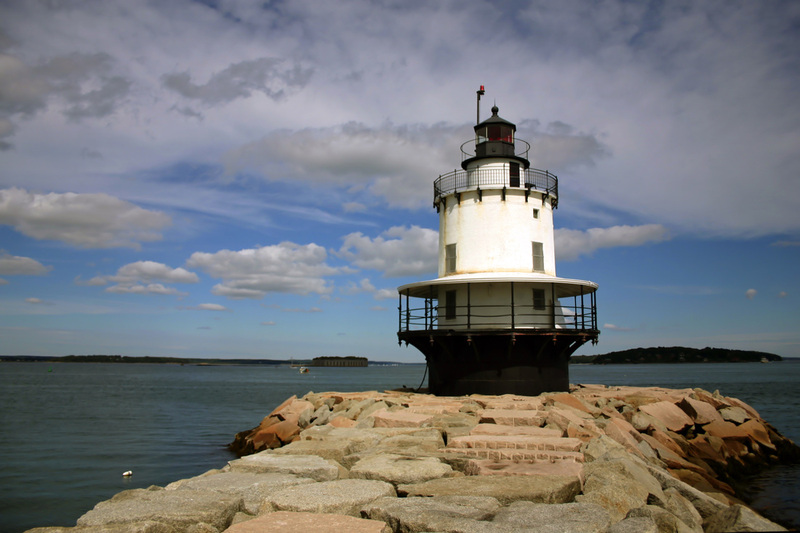 We'll move on to Spring Point Ledge Light in South Portland, a 55-foot "sparkplug" type lighthouse that was first lighted in 1897. Next is a visit to Portland Head Light in Cape Elizabeth, one of the most breathtaking lighthouses in the United States. Time is allotted to walk around the grounds of Maine's oldest lighthouse (1791) and to explore the historical museum in the former keepers’ quarters. Admission to the museum is included in the tour price. There's also a gift shop on the grounds. 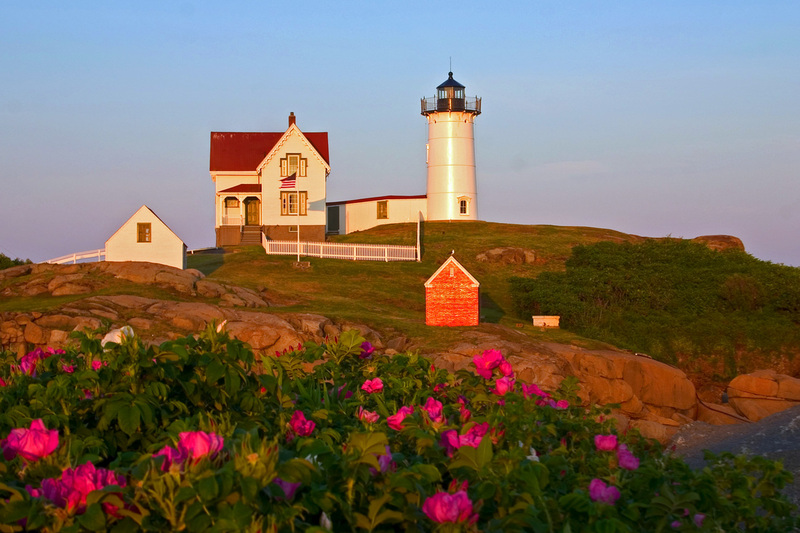 We'll continue on to the 1874 Cape Elizabeth "Two Lights" in Maine, a scenic location made famous by the artist Edward Hopper. Lunch (not included in the tour price) is at a nearby restaurant. 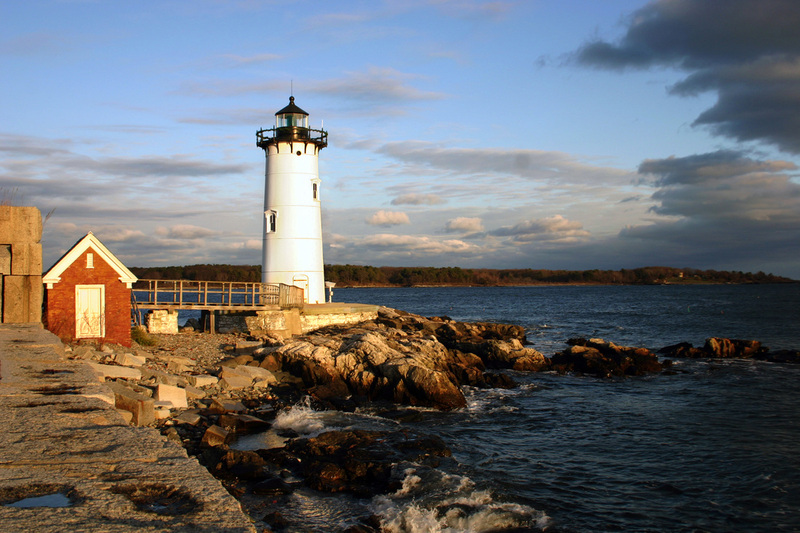 After lunch, we'll swing through the town of Kennebunkport for a view of Goat Island Light, as well as a stop for a look at Walker's Point, the summer home of George H.W. and Barbara Bush. We'll continue through the center of Kennebunkport. 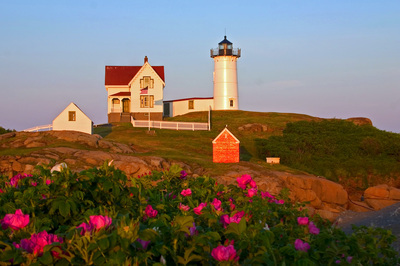 We'll then head south to York, Maine, to enjoy the picturesque Cape Neddick "Nubble" Light, one of the most photographed lighthouses in the world. A gift shop is on the grounds, and Fox's restaurant is nearby with a takeout ice cream window (through mid-October). The last stop is a tour inside Portsmouth Harbor Lighthouse in New Castle, New Hampshire. 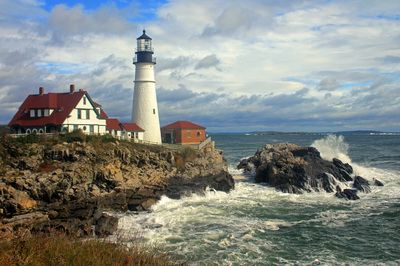 Participants are invited to climb the 44 stairs and 7-rung ladder to the top to enjoy the magnificent view (including Whaleback Lighthouse) and to see the active fourth-order Fresnel lens up close. Pickup and drop off are at a designated free parking lot; directions will be provided upon the booking of a tour. Pickup can be arranged at hotels in Portsmouth and neighboring towns.